New families will receive enrollment and registration information, following notice of acceptance and after receipt of the signed enrollment contract and first payment. Returning families will have the opportunity to complete the abbreviated enrollment contract and update their personal information each year. Families will receive notification via e-mail to complete the forms each spring. Families will receive notifications and instructions on how to log-in to the Online Health Portal following submission of enrollment forms. Please complete all requirements at least two weeks in advance of the assigned registration. 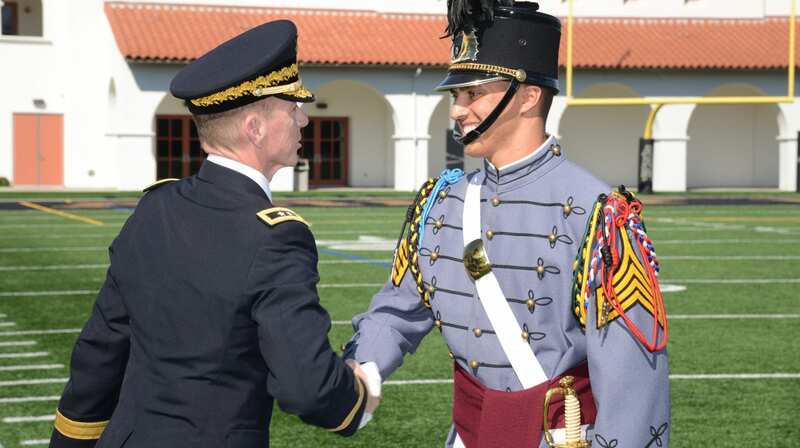 All families are required to create an account with the designated Pharmacy before your Cadet arrives on campus, even if he is currently not prescribed any medications. The Pharmacy will be responsible for all Cadet medication throughout the year. There is no cost to enroll. Pharmacy will package and send medications directly to the Academy with the Cadet’s name, dosage, time of administration and description. Pharmacy will coordinate refills directly with your Cadet’s doctor. Please note: Out of State Cadets on ADHD medications will need to have parents/guardians fax the prescription to the pharmacy and in addition, mail the original prescription to the Pharmacy Services. These types of medicines are heavily regulated by the FDA. Please ensure that when you mail the prescription to the pharmacy that you identify that the Cadet is at the Army and Navy Academy. Instructions and addresses are on the enrollment form. Please contact the Health Center at 760.547.5213 with any questions.